Area: 5.1 acres land area and a built-up area of 2, 22,150 sq. ft. 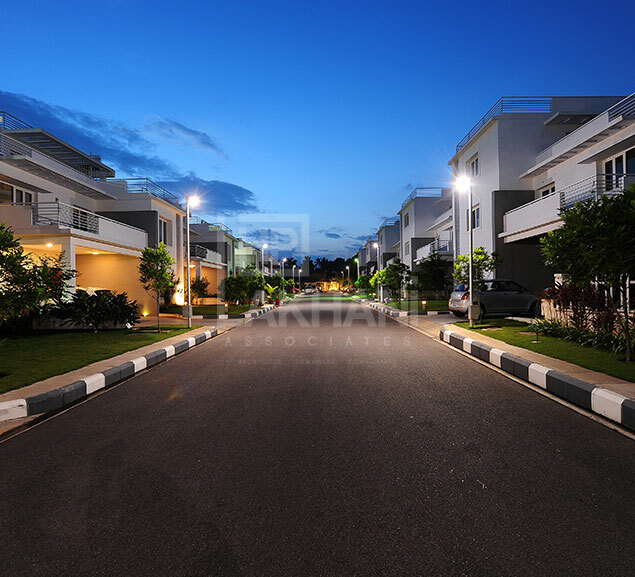 This prestigious high-end gated community comprises of 30 villas, and a 6,000 sq. ft. clubhouse. 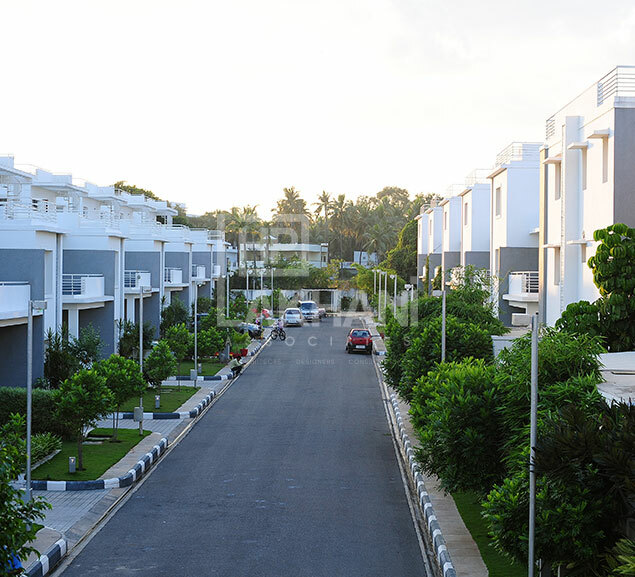 The housing project was designed not merely to look good, but also worked well in terms of functionality, accessibility, amenities and open spaces etc. 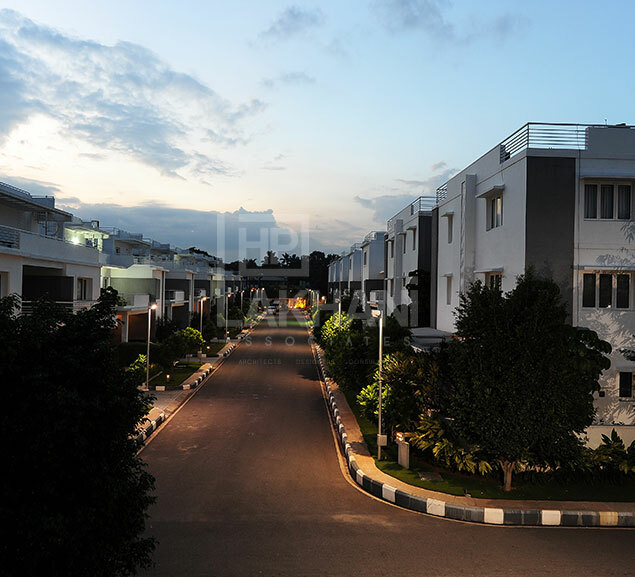 With this, the occupant’s quality of life would be further elevated by setting a benchmark for all future gated communities built in Hyderabad, India. 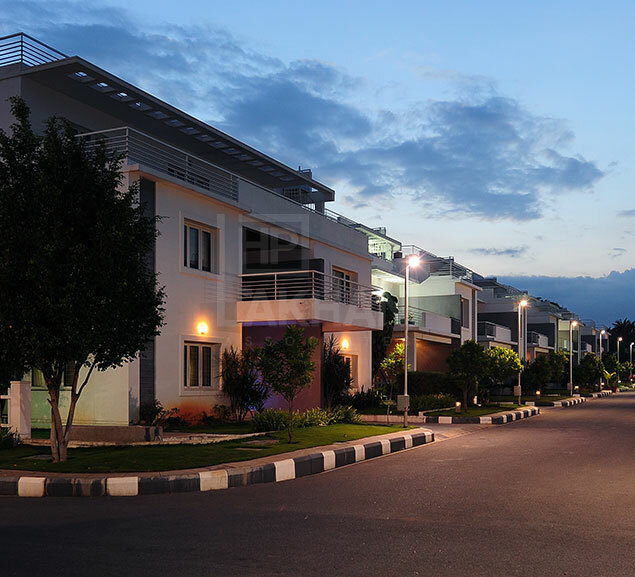 Our design for the community provided for good external and internal finishes with the use of high-end materials and very good infrastructure, incorporating all the modern amenities and green building features like solar heaters, STP, rainwater harvesting and a water sump provided separately for each house. 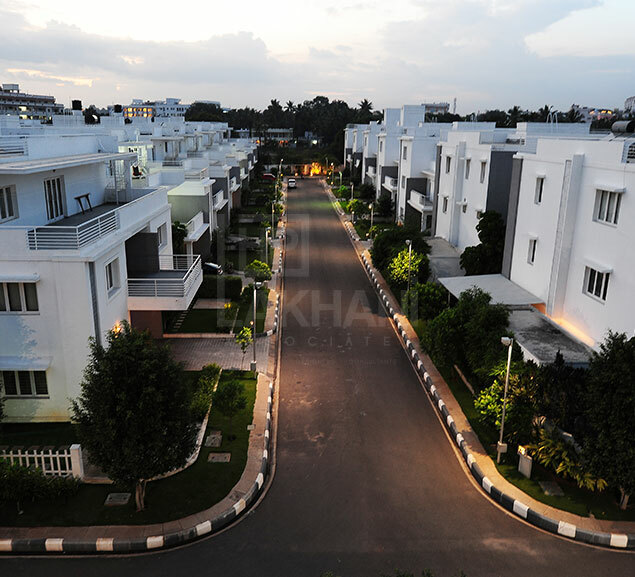 Storm water drains provided in the internal road edges are connected to rainwater harvesting pits which recharge the groundwater, an indispensable solution to meet growing water demands today. A minimalist design concept with simple straight lines was our theme. 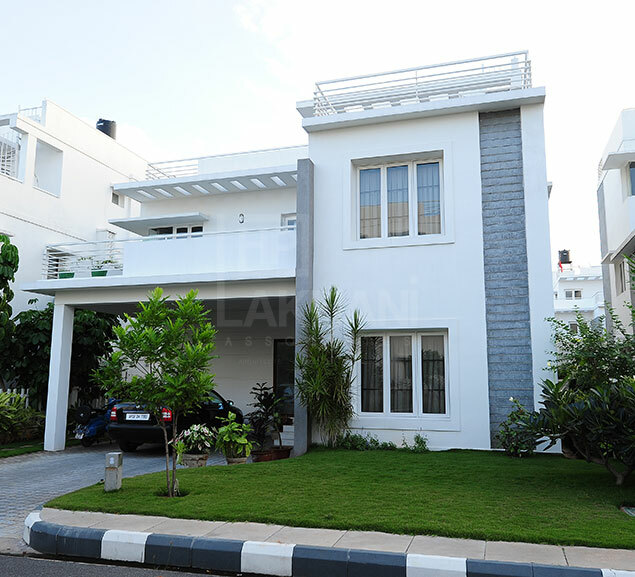 The villas were vaastu compliant. 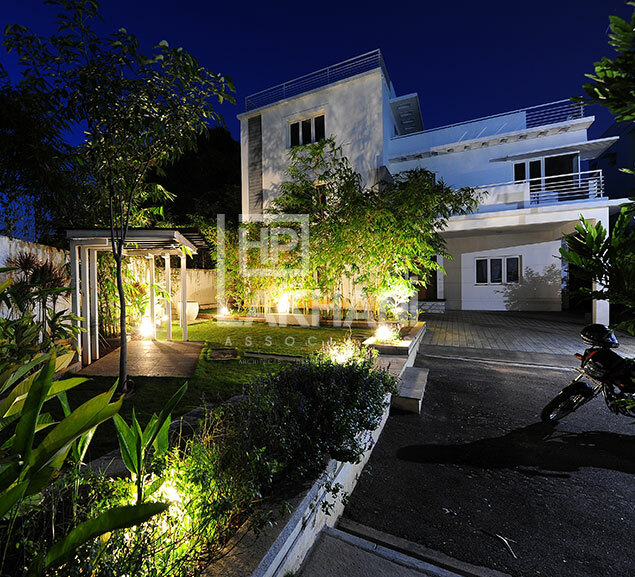 Each villa is built on 400 to 550 sq. 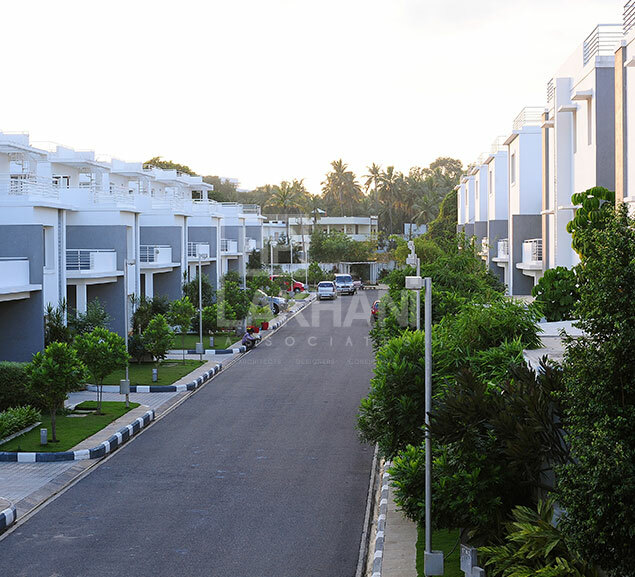 yards, having a built-up area of 4000. to 5000 sq. ft. respectively. This is spread across Ground+2 floor levels. 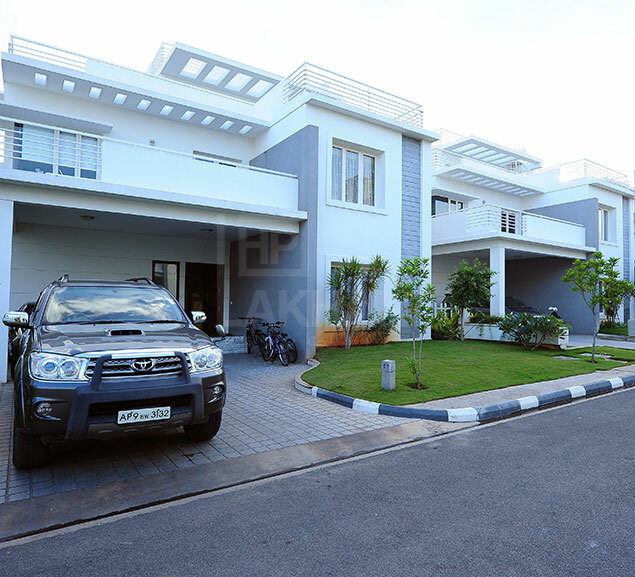 Each villa has a two-car parking slot. 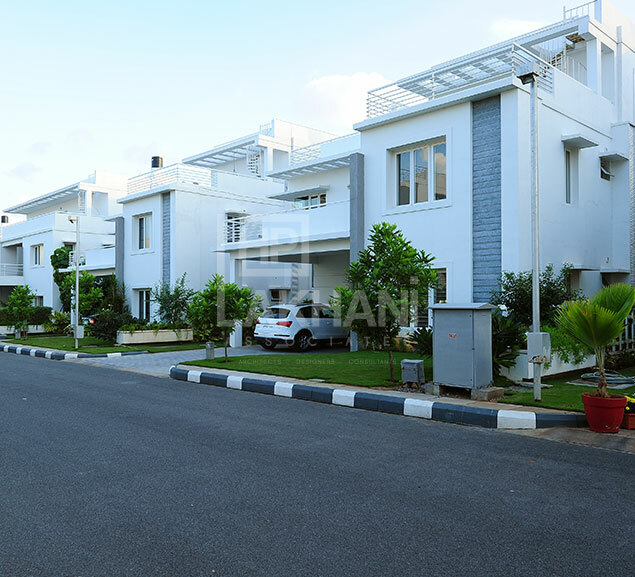 Optimal space utilization has been achieved within the villas creating beautiful spaces, which fulfils every owner’s requirements and expectations to the hilt and offered good scope for customization. 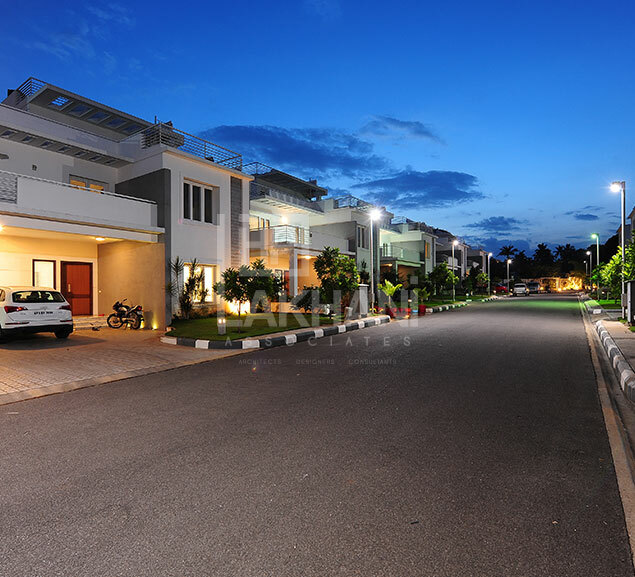 The clubhouse is built over 1500 sq. 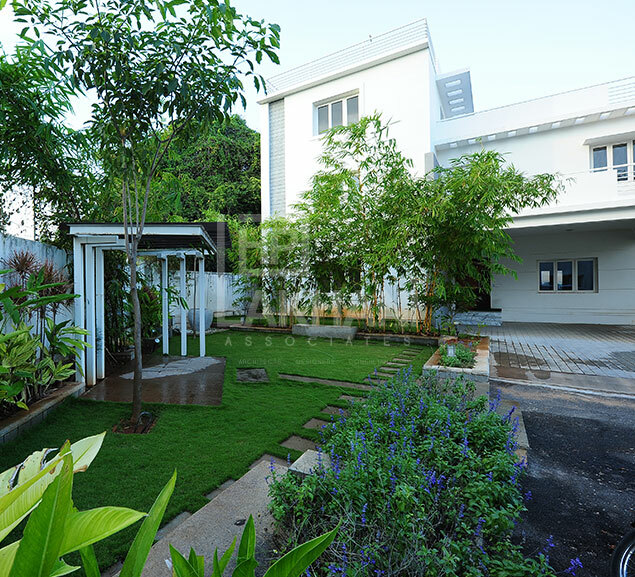 yards of land including landscaping. Our design factored various facilities like a banquet hall, up-to-date gymnasium, yoga section along with modern health spa facilities, and an indoor games parlor to play cards, snooker, table tennis, a service room facility, swimming pool, tennis and badminton courts and creatively designed indoor-outdoor children’s playpens. The banquet hall opens out to a green lawn area, allowing flexibility to hold indoor and outdoor parties.